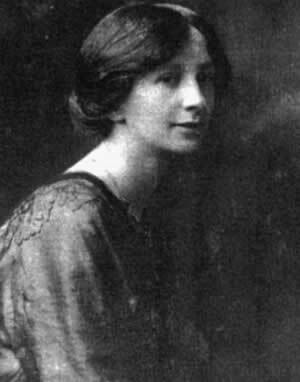 Alice Jacqueline Perry graduated with a first class honours degree in Civil Engineering from Queen's College Galway (now NUI, Galway) in 1906. It is understood that she is the first woman to graduate with a degree in engineering in Ireland or Great Britain. Indeed it is possible that she is the first woman to graduate as an engineer anywhere in the world. Alice Perry was born in Galway in 1885 and she came from a family that had strong engineering traditions. Her father, James Perry, was County Surveyor in Galway West and, together with his brother, founded the Galway Electric Light Company. Her uncle, John Perry was a Fellow of the Royal Society and was well known for inventing the navigational gyroscope. Sadly, Alice's father died soon after her graduation in 1906 and this prevented her from continuing her academic career. She was appointed temporary county surveyor by Galway County Council in December 1906 in succession to her father. She held this post for six months until a permanent appointment was made. Her age and lack of experience dictated that she would not have been appointable to the permanent post. The fact remains that she was the first and only woman to have occupied the post of County Surveyor (County Engineer) in Ireland. In 1908, Alice and her sisters moved to London where she spent some years working for the Home Office as a Lady Factory Inspector. This involved the monitoring of the laws in relation to the employment of women, particularly in the industrial setting. In 1916 she married Bob Shaw, an Englishman who was serving in the British Army. Her husband left for the Western Front in 1917 and unfortunately he was killed in action later that year. Although brought up as a Presbyterian, she had converted to the Christian Science Church in 1915. She became interested in poetry and published her first work in 1922. The following year she went to Boston, which was the headquarters of Christian Science. Alice Perry spent the remaining 45 years of her life in the US. Little detail is known of her time there but she worked completely within the Christian Science church. She did however continue her strong interest in writing and poetry and a total of seven books of poems were published by her through the Christian Science Society. She also returned to Ireland on three occasions, 1930, 1948, and 1960, and visited the Department of Civil Engineering during her 1948 visit. Shortly before her death, she commissioned a memorial slab to her parents in the Presbyterian Church on Nun's Island.